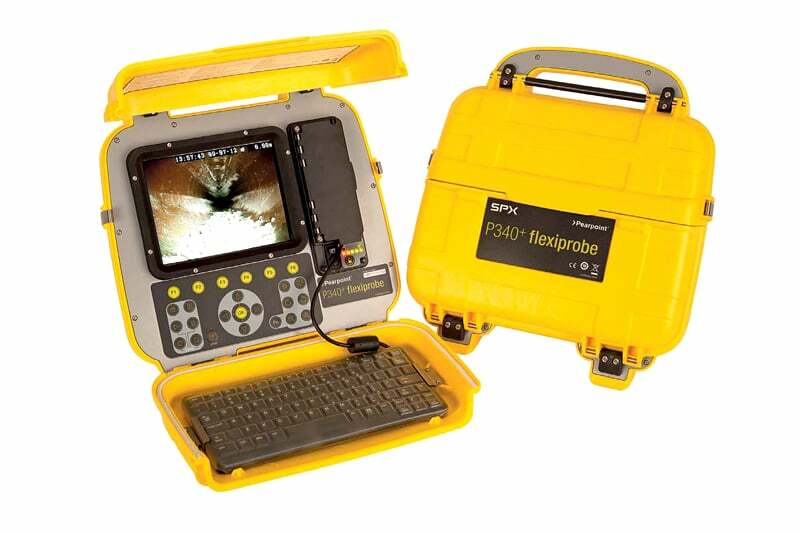 The P340 Flexiprobe pushrod inspection system offers the ultimate in pipeline inspection. Featuring a digital colour ultra-bright 8″ TFT screen with digital rotate, pan and zoom; USB flash drive and Compact flash storage with up to 7 hours (8GB) of video storage, as well as full PC connectivity, the P340 provide offers unsurpassed data analysis, storage reporting functions. The P340 controller option features an internal lithium-ion battery to provide enough power for a full day’s typical usage without the need to change batteries or find an external power lead. Weighing a mere 6.2 kg, the lightweight yet rugged P340 is truly a go anywhere push rod pipe camera. 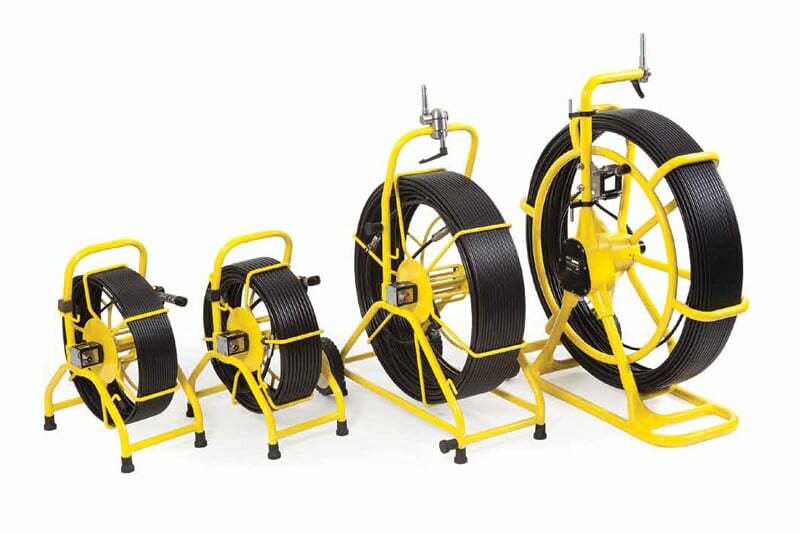 The fully sealed 1″ (25mm) and 2″ (50mm) cameras can be mounted on a range of rods – from the ultra-flexible 100′ (30m) Plumbers reel, designed for accessing tight corners, to the 500′ (150m) P343 reel designed to push for long distances. The polypropylene exterior is designed to resist scuffs and impacts, and the sealing provides an IP53 rating when operating – and IP55 with the covers closed. The cameras can operate at up to 11 bar of pressure. In addition to high quality video inspections, audio data can be recorded via the optional microphone and text commentary can also be added using the quick access keyboard. The controller module is able to store up to up to 20 pages of text. 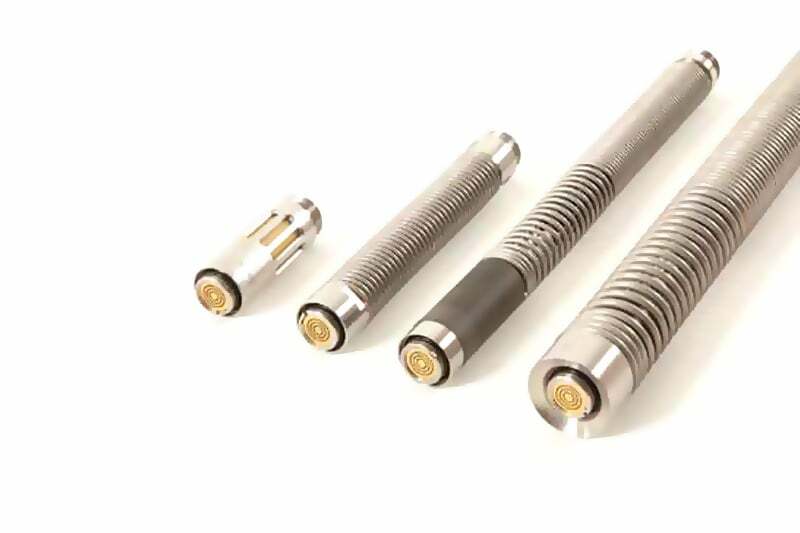 The P340 flexi probe system is equipped with two cameras, a 1″ (25mm) and a 2″ (50mm), housed in tough stainless steel casings able to withstand 11 bars of pressure. Both cameras feature high resolution sensors and ultra-bright white LEDs to deliver a crisp, clear picture in most pipe conditions. Manual focus options are offered on both cameras ensuring an accurate view of the pipe diameters. Specially designed to help navigate bends, the P340 1″ (25mm) camera features a polycarbonate cover to protect the LEDs. The self-levelling 2″ (50mm) camera features a sapphire window to protect its lens and a sensor boasting more than 39% higher horizontal resolution than its predecessor (460 vs 330 usable horizontal TVL). 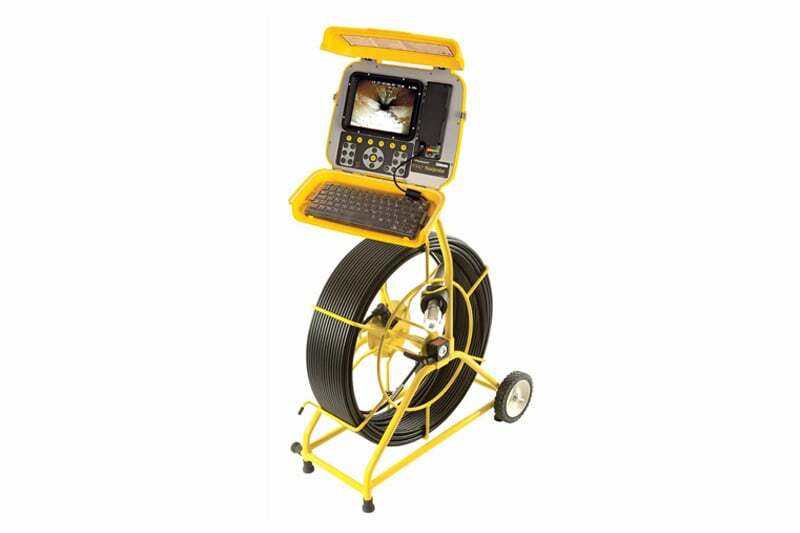 Contact us to find out more about the P340 Push Rod Pipe Camera or any of our other push rod cameras or click to view our full pipe inspection camera range.